April 25th 2015 marks the commemoration of the centenary of the landings at Gallipoli by the ANZACs. In the very early hours of tomorrow we’ll be joining tens of thousands of other Aussie and Kiwi expats in the UK at the Dawn Service in London along with to commemorate the centenary of the ANZAC soldiers at Gallipoli in WW1. ANZAC stands for Australian and New Zealand Army Corps and ANZAC Day is one of Australia & New Zealand’s most important national occasions. It marks the anniversary of the first major military action and war effort by Australian and New Zealand forces abroad. The WW1 Campaign helped to forge a national identity for our young country and the ANZAC spirit quickly developed. Qualities of mateship, initiative, endurance, discipline and great courage were displayed. Qualities that still are a huge part of our nation’s identity. The ANZAC Day legend is part of who we are, it defined and evolved us as a country and we learn about it from a very young age. April 25 is a day of national remembrance. While ANZAC Day began as a day to commemorate WW1 we now also reflect, remember and pay our respects to those Australian and New Zealand soldiers who have served and fought in all global conflicts whose sacrifices allows us to live as we do today. The Dawn Service is tradition and it is a tradition that is growing. Every year the numbers swell and there’s no atmosphere like it, it means something different for everyone but it truly is one of the most important days of the year for Australians and New Zealanders. Like most Australians I dream of visiting Turkey and paying my respects at Gallipoli, a dream that will come true in the next year! My family & I have attended the Dawn Service at home for as long as I can remember and during my school years we marched year after year in the ANZAC Day parades. A highlight being in grade six when myself and another student leader laid a wreath on behalf of our school. I remember my brothers and I arguing over who would proudly get to wear my pop’s medals so much that my mum paid to have replicas made up for all his grandchildren. 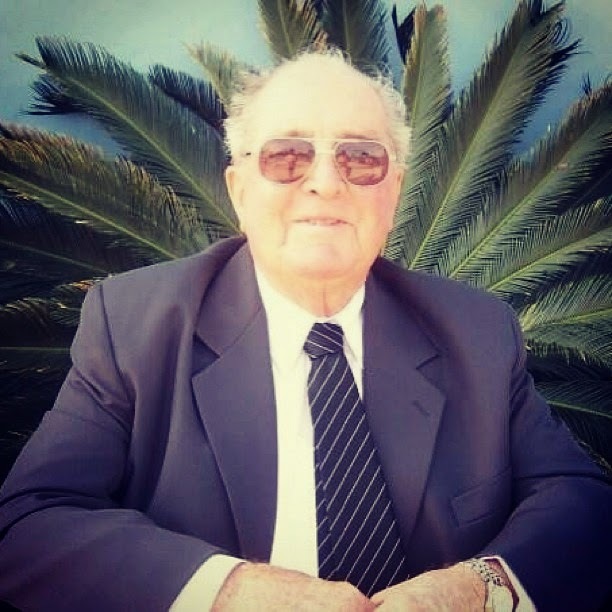 ANZAC Day is also important to me also for personal reasons as I remember my pop, the most wonderful man who lied about his age to join the army and fight for our country in WW2. world and tomorrow we will rise to remember those who have paid the ultimate sacrifice for their nation. For any Aussie or Kiwi expats needing information about the Commemorative Services in London tomorrow visit here.